1000 advanced Mirapocket spring system with targeted zoned support. 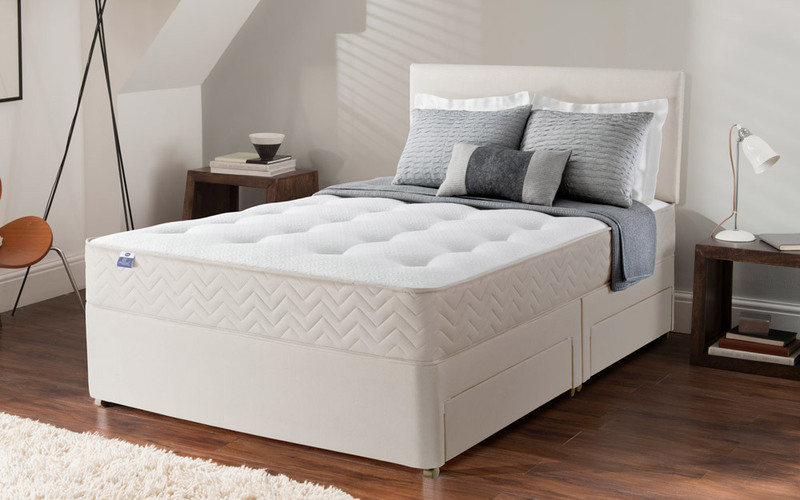 Body moulding memory foam for ultimate pressure relief with no loss of movement or support. Tufted mattress for an ortho feel. Easy care mattress - no need to turn simply rotate. Zoned support for perfect spinal alignment. Enhanced pressure relief for a sublimely comfortable night's sleep. No roll together for less partner disturbance. Sleep comfortably right to the edge without rolling off with our edge to edge spring support system. My performance is so much better than it was before, my boss has noticed it too and I was offered a better position. If I knew before that I only need to buy a better quality bed, I would invested much earlier, it's all paid off. Site looks professional and the service confirms that. Superb quality, worth the price. Thank you very much for the great service. I was looking to buy a bed with this design, fits any decor. There are so many products to choose from.